On Wednesday 5th July 2017, a large corn workshop was organised by the SAPA project at Hotel SS, Aung Ban. 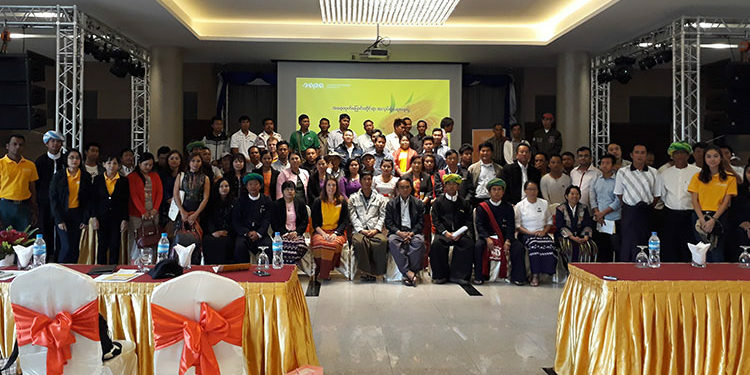 The main objective of this workshop was to find 10 corn traders who are interested to lift the corn quality of Southern Shan State by not only focusing on connecting to the market and demand side, but also seeing possibilities to improve the production process. This is one of the many steps that SAPA has to take to develop a sustainably produced corn farming sourcing system. In total over hundred people attended the workshop, representing different working fields such as government, private companies, individual corn traders, NGOs and other individuals who are somehow active in the corn sector. The workshop was embedded in presentations of government officials (U Thet Lwin Oo, Deputy Director General Department of Agriculture Research Yezin; Dr. Aung Moe Myo Tint DD DAR; Daw Thet Thet Aye, Township head Officer) and corn expert Dr. Nyein Nyein Htwe from Yezin Agriculture University to give the attendees an overview of firstly the government agricultural policy and in particular the corn sector. 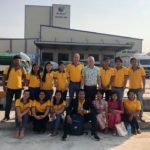 Furthermore, the attendees were given an overview of the corn production in surrounding countries in comparison with the corn production in Myanmar. The main conclusion of this presentation was that Myanmar corn is not bad at all, but Myanmar can do much better, through most likely minimal efforts. 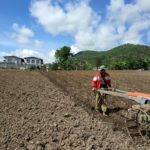 The second part was mainly focusing on the need for traders in the SAPA project who are willing to walk that extra mile and can see the bigger picture of corn in Myanmar and not only in Southern Shan State. Their role will be to provide extension staff who are willing to take training provided by SAPA on how to improve current production practices. Thereafter they have to train farmers to actually apply the learned improvement. Only 10 traders were needed, but 16 corn traders from Aungban, Taunggyi, Pindaya, Loikaw and Yauksauk regions were interested and keen to participate. In total they work with more than 40,000 farmers who own more than 100,000 acres corn field. In the meantime, a smaller workshop was organised with the 16 interested corn traders to provide more details on the SAPA project and to start selecting 25 extension staff. And again, this was a very positive, interactive meeting in which all traders were very active and asked a lot of questions to understand the SAPA approach and also their role and benefits in this project. This workshop resulted in a first list of 25 extension staff. Next step is to start organizing the actual workshops on corn, among others: corn morphology, type of corn, soil preparation, irrigation technology, fertilizer application system, pest and disease management and harvesting and post harvesting technology.